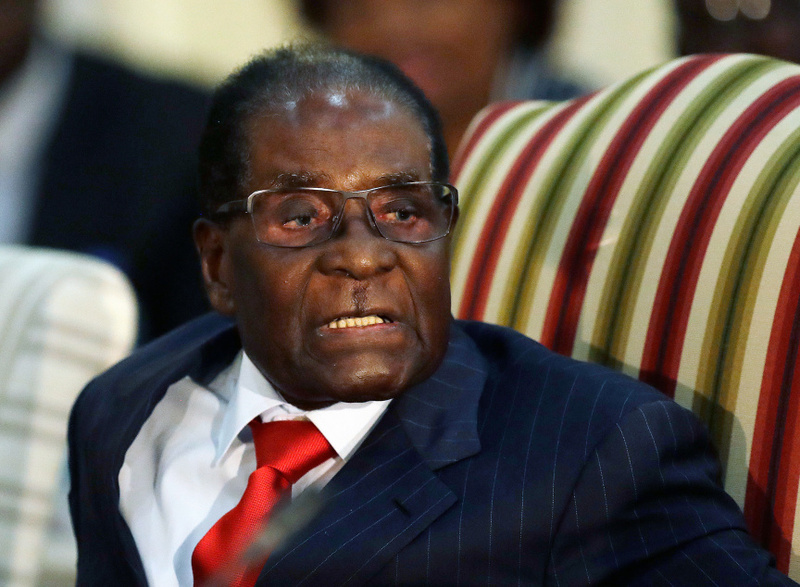 HARARE, Zimbabwe (AP) — A Zimbabwean parliamentary committee is summoning former leader Robert Mugabe to explain past comments on alleged diamond looting — the first time a public institution has called him to account for such claims made during his 37-year rule. Mugabe, who resigned in November following a military intervention and extraordinary public demonstrations, has said $15 billion worth of diamonds were looted from fields in the country's east. He later said he had no basis for that figure and spoke off the top of his head. But parliamentary committee chairman Temba Mliswa told The Associated Press the 94-year-old still should appear on May 9 to explain his comments. Parliament "very soon" will dispatch an official letter for Mugabe to appear, Mliswa said. It was not clear whether Mugabe, who has lived quietly in the capital since his resignation, will agree to show up. The allegations of diamond looting have been a source of anger in the once-prosperous southern African country whose economy collapsed under Mugabe's long rule. Non-governmental organizations such as Global Witness have accused government and security agencies of both looting and human rights abuses. Zimbabwe security agencies, including the military and police, were involved in the mining in partnership with Chinese firms until the government cancelled all diamond mining licenses in the region in 2016, making way for a monopoly by a government-owned firm. The parliamentary committee also has asked former Vice President Joice Mujuru to provide evidence. Former and serving top police officers, government officials and mining executives already have appeared before the committee.